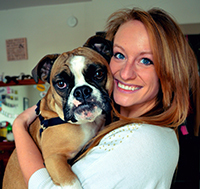 Tori has been a contributor to Pet Health Network since 2013. She regularly contributes pet news and other stories about the human-animal bond. Tori is an avid animal lover and has an English Bulldog, Harley, who has been featured in several videos with her, whether it's introducing a new DIY product or promoting preventive care. Checkout videos and articles you might like, and see what your friends are sharing.